Home > Blog > acupuncture > What is a Trigger Point? Posted on September 15, 2016 September 11, 2017 by Joseph Alban, L.Ac. The term is attributed to Dr. Janet Travell (personal physician to JFK!) and is used to describe a tight band of knots in the muscles and connective tissues. Fascia and connective tissue is the “white stuff” in your old Anatomy and Physiology text from college. Many generations of anatomy professors have simply cleared it away without paying attention to it’s clinical importance, but we now know that fascia is very important to health. Some of acupuncture’s effectiveness is related to the stimulation and stretching of connective tissue during the treatment. A trigger point can be caused by many things; an injury, repetitive movement, stress, and poor posture are just a few. In my experience, trigger points can be responsible for a wide range of issues from neck and shoulder pain, back pain, pelvic pain, as well as migraine headaches, constipation, and other issues. Trigger points are bundles of muscle, very often you can easily feel it, like a knot in a piece of rope. 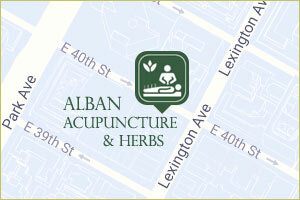 It is usually the heart of the problem, the problem that brought you to seek acupuncture. Locating the trigger point precisely enables the clinician to hone in on the crux of the matter, making treatment more efficient, and bring your much quicker relief. When a trigger point develops, the bands of muscle tighten and pull on the other muscles throughout the connective tissue system. It will most often be sore to the touch which informs me that I have found the trouble spot. In acupuncture texts, these points are described as “ashi” (pronounced asher), or ouch points. Let’s take neck pain for example. Though the pain may be in the neck and throughout the upper shoulders, there will be one particular spot that is a much sharper pain, the trigger point. Like a starter pistol triggers the race, the trigger point starts the pain. From there, the pain will radiate out. This is known as “referred pain”; like a radiator emits heat and sends it all through the room, the pain will start at the trigger point and spread through the surrounding areas. When there is a painful spot, muscles and connective tissue pulls on all the structures around it and the pain is transferred to another area of the body. 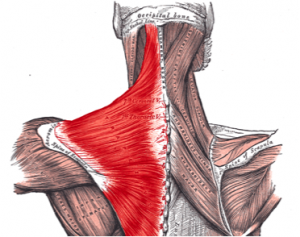 Tightness in the shoulders will pull on the muscles in the neck. And it will pull on the surrounding parts involving many muscle groups. Now the shoulders and neck are stressed, causing them to ache, so it moves down to the biceps, or up to the head causing a migraine, and so on and so on. Treating a trigger point will cause the muscle twitch strongly and then relax. It is a unique sensation of pressure and the release. People are often surprised how powerful releasing a trigger point can be. Its not only that muscle but connections between many muscles and regions of the body that brings relief by releasing the point. 1.Kwong EH, Findley TW. Fascia–Current knowledge and future directions in physiatry: narrative review. J Rehabil Res Dev.2014;51(6):875-884; PMID: 25356911. 2.Langevin HM. Acupuncture, connective tissue, and peripheral sensory modulation. Crit Rev Eukaryot Gene Expr.2014;24(3):249-253; PMID: 25072149.